The fastest and easiest way to repair your credit is and has always been to stay on top of monitoring your credit and to dispute errors that pop up on your credit reports as soon as you see them. You'd think that errors on your credit report wouldn't be something that occurs very often. But you'd be wrong to think that. Studies have shown that up to 60% consumers have experienced errors on their credit reports within the last 5 years. ​If and when this happens to you, you need to be prepared. The way to get rid of these errors is to dispute them. You can't just call up the credit card company and accuse them of messing up and hope they believe you. It's not that easy. There is a formal process for disputing errors which starts with you gathering evidence to support the claims you intend to make. 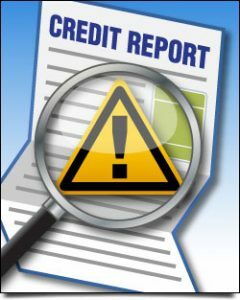 In the text below, we will show you the basics for how you can start disputing errors on your credit report. It doesn't matter if you intend to use a credit repair company or do it by yourself, these tips will help you with starting the task of getting your credit report clean. The first step in your journey is to actually find errors in the first place that you can dispute. This involves obtaining and examining your credit reports. And yes, we said "reports" as in plural. You need to get a copy of your credit report from each of the three credit bureaus. ​Luckily there is a website that allows you to request your Experian, Equifax, and TransUnion reports all in one form, for free. Each of these bureaus calculates their scoring differently and has different items that they report on. There could be mistakes in one report that are not in the others, and visa versa. By law you are entitled to 1 credit report 100% free each year from each of the reporting agencies. Use the site mentioned above to claim yours. Hot tip: While you will definitely need to request all 3 reports, it may be a better idea to get them 1 at a time and work through them like that. Generally, they usually are around 90% the same, so it's a good way to keep a constant monitor on your credit every few months. Plus, if there is repair needed, it will take a few months to work through one of the reports anyways. If you made it this far, you should have you credit reports in hand and you should be ready to start the examination process. Before you start you need to know how to read and understand the different sections of a credit report. The 4 main areas are personal information, public records, inquiries, and credit history. There's not much to say here about this category. This section holds information about who you are. You're going to want to verify that your name is spelled right, and that all of the contact information is correct. While this section does not weigh into your score itself, having the wrong name associated with you can be a huge deal. ​This section should hopefully be small (if not empty). This section would list any liens, bankruptcies, or anything else that is of public record against you. Usually items listed here take a major hit on your credit rating. Inquiries occur whenever a credit check is done on you. This includes, but is not limited to, when you apply for new credit cards, auto loans, mortgages, and even sometimes a job. Pay attention to these and make sure there are no excessive inquiries that you did not know of occurring. Lastly, but most certainly not the least, is your credit history. This is the main section that you want to be examining the most carefully. Errors here can be extremely detrimental to your credit score. You should find an entire history of all of the lines of credit you have open or have had open. You should review current/past balances as well as statuses of your accounts current and past. You'll want to make sure that accounts that are marked as open are really open, and that closed accounts are actually closed. The size of this section highly depends on how much and how often you use credit. If you're an avid credit card user then you may find yourself going through more than several pages. The best advise we can give is to take your time and be thorough here. Getting complacent and starting to skim over pages can cause you to miss disputable errors that can create a great change in your finances. Hot Tip: Finding "open" accounts that are not yours can be a huge red flag in regards to identity theft. Whether or not they are helping or hurting your score is not the concern here. The concern is to rectify and ensure that no theft has occurred. Assuming that after requesting, receiving and examining your credit reports you have found something that you would like to dispute; Now would be the time to start the process of formally disputing said information. At the end of this section we will link you to some helpful sites for this process. ​If you plan to send a letter of dispute, checking out the FTC's sample dispute letter can be a great place to get started. For your own sake, you're going to want to make and retain a copy of all documentation sent and received during this process. You'll also want to make sure that you are extremely clear and concise when writing your dispute so there is no room for confusion. 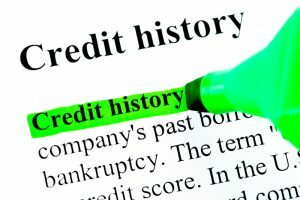 By law, credit bureaus must be in contact with your creditors between 30-45 days to communicate with the creditor who originally documented the information you are disputing. This timeline starts from the moment your dispute is received and opened by the bureau(s). If they do not get a response, you automatically win the dispute and the information will be redacted from your credit report. Hot Tip:​ The Federal Trade Commission recently reported how over 65% of consumers who had gone down the road of a dispute had eventually gave up. This is with still believing that they were in the right. Over 35% claim to have never heard back from the credit bureaus. This shows that it could be a good idea to get a professional credit repair agency involved, as they have built relationships with the bureaus as well as learned the proper ways to get responses. ​As mentioned above, recent claims by the FTC show that over 35% of people say that their disputes go without receiving a response. If this happens to you, and you included the proper evidence and filed the dispute properly, then you have one last thing that you can do. The last thing you can do is to file a complaint. There are two places you can file complaints through; the Federal Trade Commission or the Consumer Financial Protection Bureau. We will provide you with links to both of them in the section below. Complaints can be put against either the creditor who made the initial mistake, or (and) against the bureau(s) for not properly handling your dispute(s). There will be an investigation and the bureaus or creditors will be contacted in regards to finding out why or what happened to your dispute. This is exactly why earlier in the guide we mentioned that you should be keeping documentation of your entire journey. You'll want to provide the FTC and/or CFPB with all of the documents proving that you correctly filed dispute(s) and who/what communications were involved.​ The CFPB provides a thorough guide requesting all of the pieces of information they will require from you. Tracking complaints can be done through either of the FTC or CFPB websites, depending on who you complain to.